Sorry for the delay in posting this furlough adventure, it's been quite busy at work. 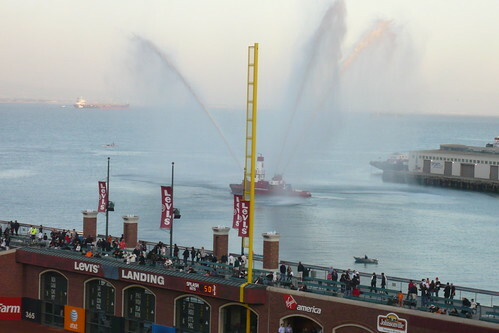 Furlough Adventure #4 is the SF Giants game on Tuesday, September 8, 2009. I went with one of my co-workers since the tickets I purchased came in a pair. This night was for the local firefighters and people who bought special tickets got a really interesting mug shaped like a firefighter's boot. 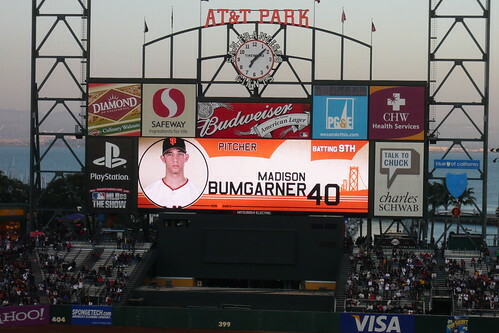 This night was also Madison Bumgarner's first Major League baseball game because just a few hours before the game, Tim Lincecum was experiencing back spasms. 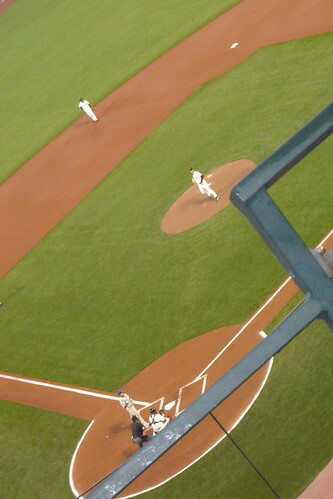 Here's a photo of his first Major League pitch.